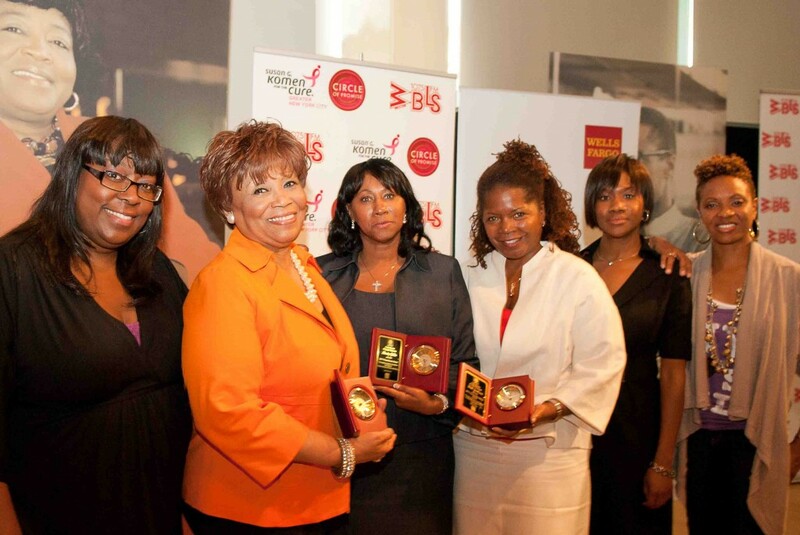 New York, NY – Known for empowering women of color around the country, nationally syndicated radio show Café Mocha hosted an awards brunch to solidify women’s place in history with their New York affiliate WBLS-FM. 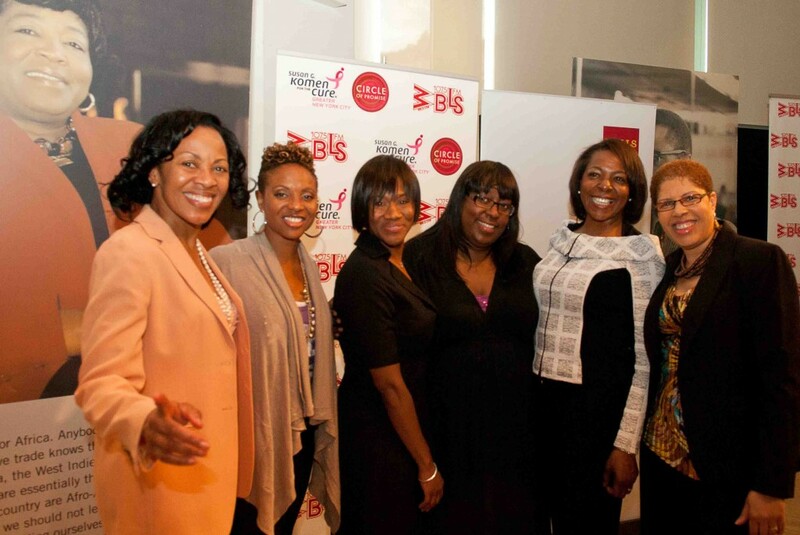 The Café Mocha “Celebrating Women” Brunch hosted by Wells Fargo, honored three female trailblazers in the tri-state area for their individual commitment to their community on April 30 in New York City. The WBLS Café Mocha Brunch, themed “Celebrating Women,” was the culminating event to a two-month initiative that paid tribute to Women’s History. Throughout March and April listeners were informed about women who have globally impacted American history via on air vignettes sponsored by Wells Fargo. This year’s honorees, Debi Jackson. Co-host of the WBLS radio show Sunday Classics (Community Activist Award); Marty Gillis of McDonalds (Powerhouse Award); and Vy Higginsen of the Mama Foundation for the Arts (‘Children’s Champion’ Award), are positively impacting their communities and the lives of others daily. To mark this historical occasion, the event took place at the Dr. Betty Shabazz Memorial and Education Center in the infamous New York City Audubon Ballroom where her husband, civil rights pioneer Malcom X was fatally shot on February 21, 1965. The Center continues to be an iconic cultural and educational venue nearly five decades after that fateful day. The cutting edge radio show Café Mocha brings a fresh perspective and is heard on Saturday mornings on New York’s WBLS-FM and hosted by New York native and two-time Grammy-nominated hip-hop legend MC Lyte, actress/comedienne Loni Love (E! Entertainment’s “Chelsea Lately”) and broadcast veteran Angelique Perrin. For more information, about Café Mocha, please visit www.cafemocharadio.com or follow Café Mocha on Twitter @cafemocharadio; and like the show on Facebook at http://www.facebook.com/cafemocharadio or call 201 722-1500. About Café Mocha Radio Show: The brainchild of award-winning media veteran Sheila Eldridge, Café Mocha was created by and for Women of Color and syndicated by Superadio Networks. The show airs weekends in over 17 markets nationally; is co-hosted by two-time Grammy-nominated hip-hop artist MC Lyte, actress/comedienne Loni Love (E! Entertainment’s “Chelsea Lately”) and broadcast veteran Angelique Perrin. This high-energy, two-hour show features the latest in urban music, lively chats from an unabashedly women’s perspective, no-holds barred advice and exclusive interviews with top performers, celebrities, politicians and civic leaders. 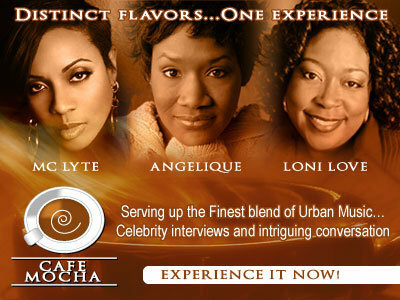 Café Mocha is the only national show that speaks directly to African American women, ages 18 to 49, who represent a combined buying power of more than $1.2 trillion. About Miles Ahead Broadcasting: Café Mocha is a production of Miles Ahead Broadcasting Inc. a subsidiary of Miles Ahead Entertainment. Miles Ahead Entertainment (MAE), a NJ-based urban marketing and public relations firm, has developed and launched highly successfully broadcast cross promotions campaigns for its diverse client base that includes Sprint 4G, Boost Mobile, Coca-Cola, Wells Fargo Company, Burrell Communications and Artistry Music Group. As a marketing and public relations agency, MAE has added broadcast marketing integration to its roster of specialized services of consumer and lifestyle marketing and event management.